The 75 UK regional daily and Sunday newspapers listed by ABC in its data lost sales by an average of 13.5 per cent year on year in the first half of 2014. The biggest faller was a Newsquest title for the third period in a row. 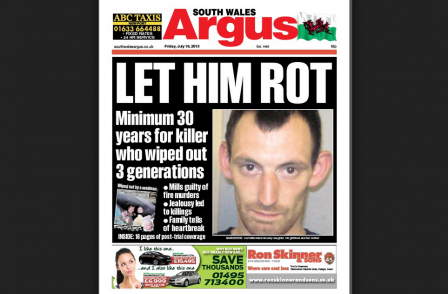 This time the title losing sales at the fastest rate was the South Wales Argus, down 33.2 per cent year on year to an average of 13,197 sales a day. The dramatic sales drop for the Argus follows a 44 per cent price increase from 45p to 65p. Trinity Mirror’s Wales on Sunday also saw a substantial drop, down 27.3 per cent year on year to 15,655. 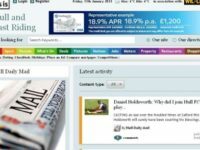 Most of the other titles to lose print sales at rate of more than 20 per cent per year were published by Newquest: the Swindon Advertiser, Oxford Mail, Worcester News, Bolton News and Lancashire Telegraph. All the Newsquest titles have had to deal with the effects of large price increases. The Swindon, Oxford and Worcester titles have all all seen price rises from 45p to 65p over the last year. The Doncaster Star, published by Johnston Press, is an edition of the Sheffield Star and fell 28.8 per cent to just over 1,000 copies a day. The overall rate of print decline for the regional daily and Sundays is in line with the 14 per cent year on year drop seen in the second half of 2013, but faster than the 10.5 per cent year on year drop of a year ago. The overall picture appears to be one where publishers are hastening inevitable print sales decline through policies of increasing print prices while funneling editorial resources towards free websites. The success of the Evening Standard shows that a free daily print newspaper can still prove extremely popular, with distribution up 27 per cent to just over 890,000 copies a day. The new Sunday edition of the Liverpool Echo, launched by the Trinity Mirror title in February, saw an average circulation in June of 21,673 (compared with a launch ABC of 21,673). The only regional daily/Sunday to grow sales year on years was the Sunday Herald, up 1 per cent year on year to an average of 25,125 copies a week (with a cover price of £1.30). The Herald does not have a free website limits free access to six articles per month. It claims to have more than 10,000 paying online subscribers. The Sunday Herald became the first Scottish newspaper to back the Yes campaign on independence at the beginning of May. Although print sales of The Herald were down 8 per cent year on year to just over 37,000 per day, total Herald group paid-for readership was said to be up. Herald and Times managing director Tim Blott said: “We place our readers at the heart of our development strategy and will continue to provide news and content through whichever platforms they prefer. “What is interesting to note is that, despite a tendency by the media to report with alacrity, stories of its own demise, we at Herald & Times Group are seeing a significant increase in paid readership overall”.